Better known for the company's hardware that reports the weather outside, Netatmo has teamed up with Philippe Starck to create a new device that gives you complete control over the climate inside your home from your smartphone. And unlike similar wireless thermostats from Honeywell and Nest, Starck has ensured that Netatmo's offering doesn't overcomplicate things. In fact the wall mounted hardware uses a simple e-ink screen to display just the desired temperature, and the actual temperature in your home. And in lieu of obvious buttons, the display's frame can be clicked up and down to make adjustments as needed. It even comes with interchangeable colored frames so the hardware matches the curtains—literally. 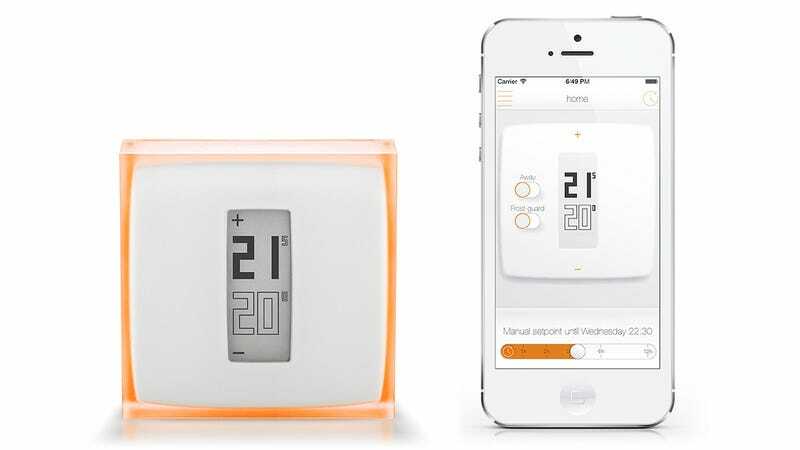 But to take full advantage of the thermostat, you'll want to add an iOS or Android device into the mix. The accompanying app lets users monitor the current temperature in their home—from anywhere—make real-time adjustments, schedule temperature changes, and even monitor their energy usage over time.